Beautiful, elegant, One-of a kind- handmade straw hat from Ecuador, these handmade hats are never exactly the same, there may be 1 or 2 in the world that look similar but not exactly the same hat. Now you can own and enjoy the finest Toquilla Straw Panama Hat. 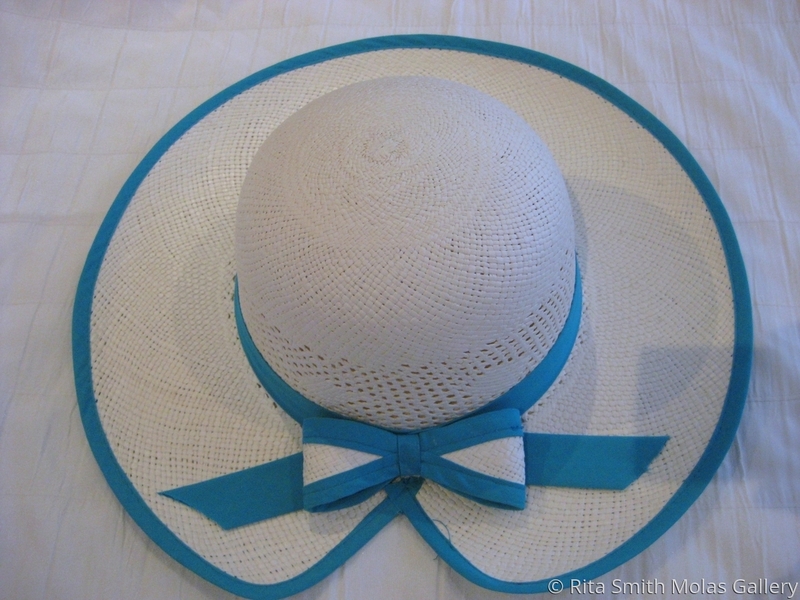 Product Specifications: Sizes 7 1/8 Medium - 57cm Color Natural Ivory Brim 3 1/2 in approx Crown 4 inch Quality Ultrafino 3 weeks hand-woven Style Straw Fino Women's Hat Edge Finished with a pink trim Hatband Pink Retail Price 100.00 To determine your hat size, measure the circumference of your head, using a tape measure. The measurement should be taken at the widest point of the head, just above the ears. If your measurement falls between sizes, choose the larger size. Please refer to the Hat Sizing chart.